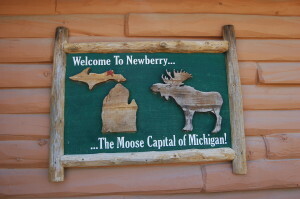 Newberry is considered one of the gateways to Tahquamenon Falls State Park thanks to its location on M-123, and since 2002 it has officially been known as the “Moose Capital of Michigan.” The town’s water tower, many business names, and a statue in front of the Quality Inn and Suites at the corner of M-123 and M-28 are just a few of the way’s you know this town is proud of its most famous resident. 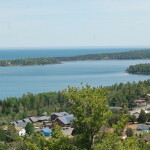 One of the most sought-after animal sightings in Michigan’s Upper Peninsula is the moose, a majestic but elusive creature that has a population of around 700 north of the Mackinac Bridge. 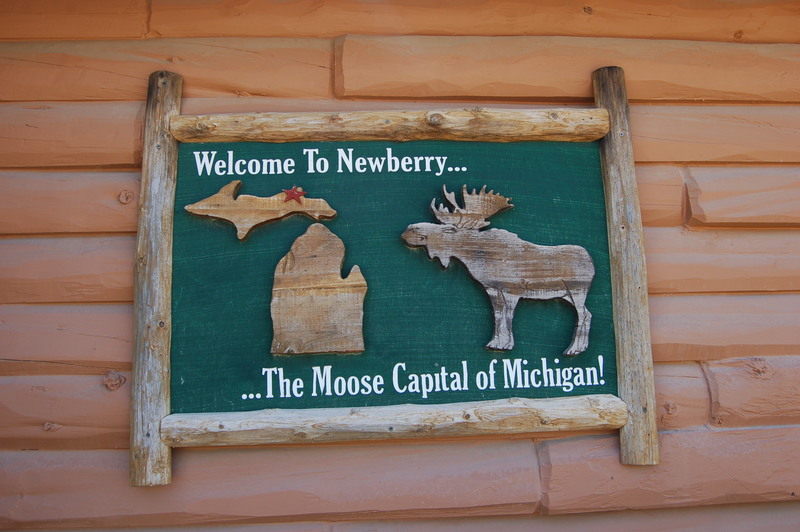 Although significant herds exist in Marquette County and Baraga County, Luce County is also known for frequent moose sightings, especially in the Newberry area. Most sightings occur north of Newberry off of M-123 and in Tahquamenon Falls State Park. 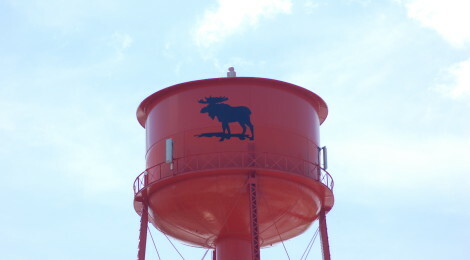 Moose will most likely be spotted near water, so keep your eyes open in swampy areas and near beaver ponds, creeks, streams, rivers and lakes. 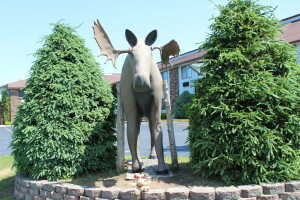 Several of the seasonal roads that branch off of M-123 are mentioned in the Michigan DNR’s “Michigan Moose” pamphlet. 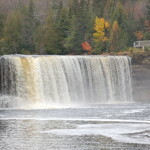 Tahquamenon Falls State Park is the second-largest state park in Michigan, and encompasses more than 46,000 acres. 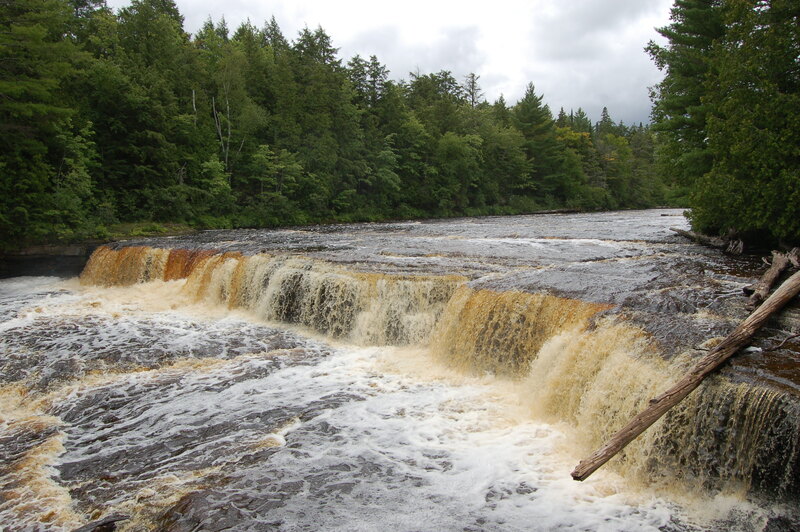 With a large river running through it and abundant vegetation this park is an ideal habitat. 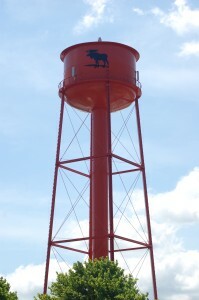 The Swamp Lakes Moose Refuge is located off of CR-500, the same road that leads back to Crisp Point Lighthouse. 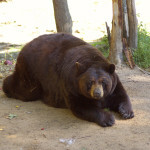 Cr-462 is about four miles north of Newberry and as it heads west past Oswald’s Bear Ranch on the way to Muskallonge State Park there are some decent potential spots to see moose. 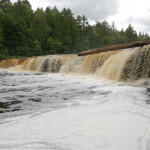 Seney Wildlife Refuge is about a half hour away to the southwest, and is another spot with potential for moose sightings (the Marshland Wildlife Drive is a seven-mile loop for vehicles). 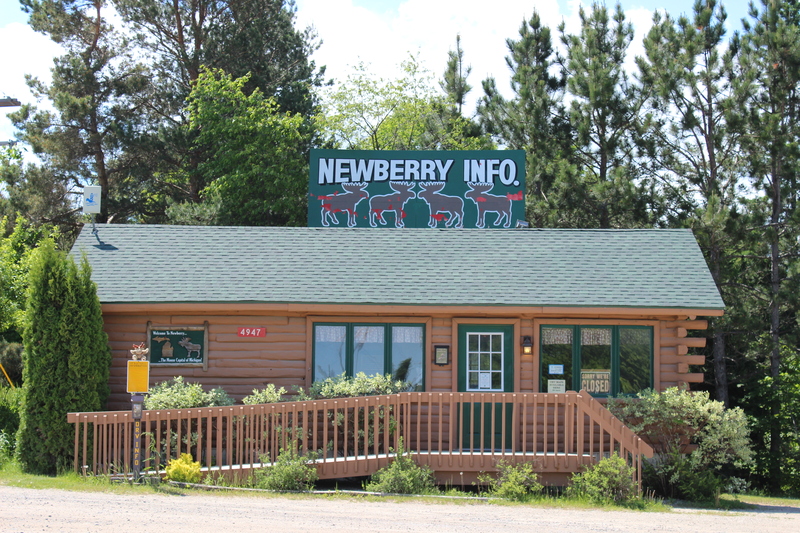 The Newberry Area Chamber of Commerce, located at the southwest corner of M-28 and M-123, has all the information you need to enjoy a trip to the area. 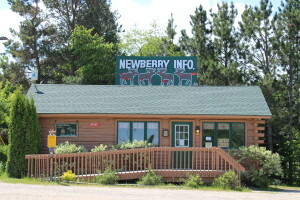 They can get you pointed in the right direction for potential moose sightings, find out more at http://www.newberrychamber.net/.